From lawyer to leader of the business fashion world, Nancy Tran debuted her name sake collection this season to an intimate yet powerful group of women who could appreciate it most. Our fashion week experience started out with our arrival in New York on Wednesday approximately 24 hours before the first show kicked off for a private meeting with Nancy as she planned to outfit our “Editor and Chic” for her New York Fashion Week show. Viewing a collection of Nancy’s is an experience, as you can feel the joy, appreciation and gratitude she has for not only her finished product but in just being a part of the fashion community. You’d hardly believe she is just a year into her professional designing career. As a matter of fact, Nancy’s collection showed on Friday morning and her official one-year anniversary of designing was the very next day. While nerves ran slightly high during our visit to Nancy’s New York City showroom you couldn’t help but notice her smiling through it from ear to ear. Model’s came in and out for fittings all while Nancy and her interns put together final touches to make sure the collection was runway ready. This season’s collection was all about the women in business. All the ensembles she would need to take hold of every moment of her life but all done with the Nancy Tran edge and feel. What’s this edge we speak of? Well, we at TRA started to become familiar with it in her first season. Take this season’s power suit pant and jacket, impeccably tailored shown in not only creme, black but pink as well. Her mini dresses we are again so familiar with as our Editor wore last season’s beautiful Barcelona dress as chosen by Nancy herself. This season, we loved the pops of color featured from yellow to bold red. Then you can’t forget to mention a gown because our girl Nancy does that too! Reflect back to when we stated she designs for “every moment”. With the beautiful executive backdrop of the Dominick Hotel guests were treated to mimosas upon arrival, avacado toast and delicious parfaits for the morning’s showcase that ended only the way Nancy would allow featuring one on ones with the very passionate women we viewed two days before in her show room. Nancy not only allowed us to view her show but she let us into the true essence of her heart. 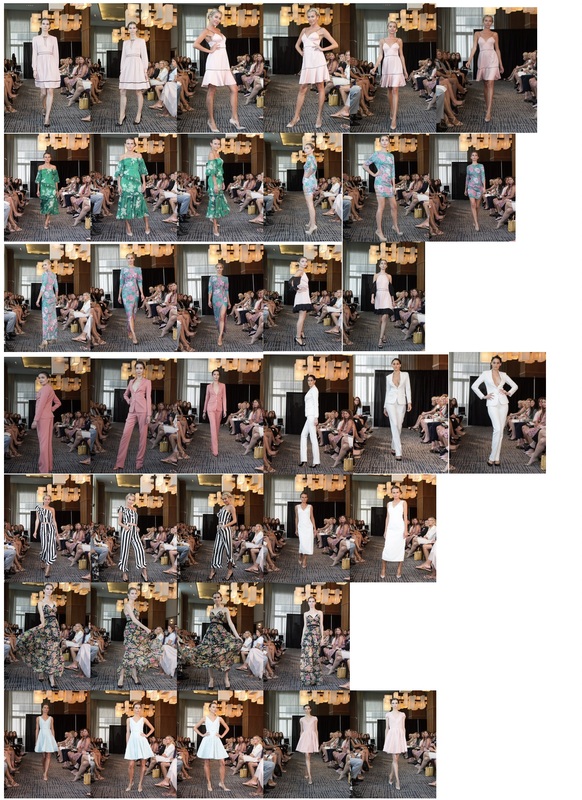 A heart that shows she was born to do this and while law is impressive just wait until you view Nancy Tran SS19!